Amber Tremewan danced all throughout high school taking ballet, jazz and hip hop. She then taught hip hop classes to little kids and fell in love with teaching. She discovered her love for fitness after having her second baby. She gained interest in R.I.P.P.E.D not too long after that. Amber loves the way RIPPED makes people feel, and loves the high energy of the class. Amber is furthering her certifications by getting a dietician/nutrition certification. Aleida Kimbrel was born and raised in Mexicali Mexico, and has been living in the USA for 11 years. Aleida is married with two beautiful, crazy children that keep her moving all day long. She started taking dance lessons at three years old — ballet, tap, danza folklorica, hip hop, but her favorite was baile de salon (ballroom dance), salsa, merengue, cumbias, samba...mis favoritas. Aleida was first introduce to a ZUMBA live class in Mexcali Mexico on a trip visiting her family in 2011. It was a very small dance studio, but it was full of energy. She didn't know the choreographies, but she didn't care, she was having so much fun, like one big party! Zumba makes her feel happy, joyful, alive, and it's the best way to start her day. She currently works as an Instructional Assistant at Bowman School and she works on call as an Interpreter for Placer County Health and Human Services. One of her favorite hobbies is to teach Aqua Zumba but she is also certified in Zumba Basic and Zumba Toning, so you might see her around the Club dancing! After years playing team and individual sports, Nancy was open for something different. She took a tai chi class and became "hooked" on the activity! She has been studying and teaching chi kung and Tai Chi Chuan (Yang style) ever since. Her style of tai chi incorporates balance, focus, stretching, full body strength and stress relief. 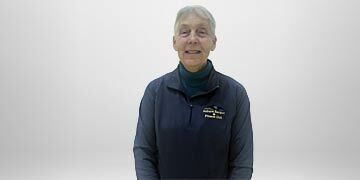 She welcomes all levels and ages to her class — so go and experience chi kung and tai chi with Nancy! 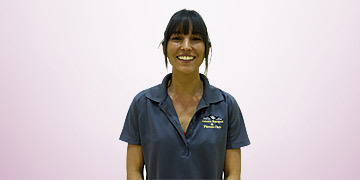 Trish has worked in the group fitness department at ARFC for almost twenty years. She holds certifications from ACE and AEA. Trish currently teaches Low-Impact Aerobics and Water Aerobics. Her classes are easy to follow, safe and fun. It's the music that makes exercising fun, whether in the pool or up in the aerobics room, and Trish strives to make every participant in her classes feel welcome and successful. Trish and her husband Jim live in Meadow Vista. They have been married for 35 years and have three grown children. Trish's interests include gardening and reading. Every year she enters a scarecrow in the Auburn Community Fall festival. One year her entry, "Mr Acorn", won first place! Mercedes first discovered the benefits of fitness at the age of eleven and she has been at it ever since. Learning how to define and strengthen muscles while her body grew and changed has always been a fascination for hers. Little wonder she was awarded the most athletic girl in her high school class! 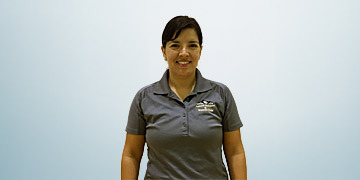 Mercedes is currently working in three other departments here at the Club: as a NASM Certified Personal Trainer, YogaFit Certified Instructor, and with the kids in Babysitting. But her true passion is dance. She's been practicing ballet five days a week, four hours a day, at In Sync Dance Studio for the past three years. In December she played the Arabian Peacock in the Nutcracker! Since 1994 Rebecca has watched people in her classes grow stronger, leaner and reach their fitness goals. The energy created in Group Fitness is exhilarating and motivates participants to achieve goals they might never have reached on their own. The team atmosphere is encouraging, positive and so much FUN! Rebecca loves teaching Spin, RIPPED, Kickboxing, Bosu and Core. Keeping her exercise education up-to-date allows her to provide classes that are effective, safe and current. She is excited to be a part of the ARFC Group Fitness team and looks forward to seeing you leave her classes dripping with sweat, muscles aching yet with a big smile on your face. Natalia Monteval is from Chile and has lived in United States for four years. She's always had two passions, Marine Biology and Dance. Naty has been a dancer most of her life, so when she came to the US she gravitated toward Zumba. "I love teaching Zumba, it fulfills my passion for dance and music." After receiving her Zumba Instructor Certification in 2013, Naty found she really loved the rhythm, music, fitness, and most of all her students! So, she continued her training, branching out into Zumba Toning, Aqua Zumba, Aqua and Pop Pilates. "I'm so happy teaching classes! Most of all, I love the energy and the happiness exchanged in every class." You can join Naty in the pool on Tuesdays at 9am for an Aqua Zumba experience that you won?t want to miss! Molly is an energetic 23 year old from Auburn California! She has always been passionate for the water and living an active lifestyle. Molly started out as a kayak guide, snorkel tour guide, water aerobics instructor, lifeguard, aquarium scuba diver, and stand up paddle board instructor she has also realized her passion to teach. This realization has brought her to ARFC to practice what she enjoys most. Guiding people out of their comfort zones and teaching them to challenge themselves physically and mentally in a fun, supportive environment and above all in the water! So jump on in! The water's great! Mike is a very spiritual and energetic young man who strives to bring as much positivity as humanly possible. He smiles joyfully at every individual he passes. "I feel a very deep connection with my peers. I've always loved people, it's hard for me to walk around and not smile." 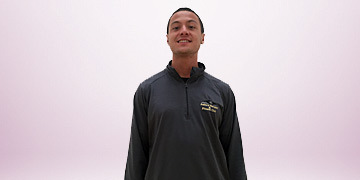 Mike works at the club under the maintenance department and also is subbing for group classes. He is also certified for Pilates reformer and Personal training. Meditation can be used for boosting awareness, increasing energy, healing, stress relief, and relaxing the mind and body. Mike has struggled with health issues for over 9 years and meditation is the only thing that has made him feel better. There are scientific studies that show what happens to your body and brain as your thoughts slow down. When you get to the point where you can actually feel energy, everything can change, not only within your meditations but within your whole life. Meditation helps you stay grounded, balanced and spiritually connected. "I don't know where I would be If I had never started meditating. It has truly been a great tool. It has helped me in so many ways, and I believe it can help you too."